... It's decorated in an 80s Disco motif. 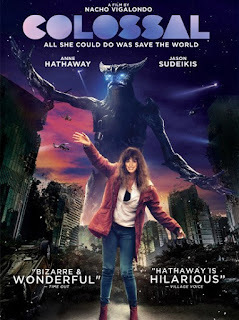 And we discuss Colossal, starring Anne Hathaway and Jason Sudeikis, directed by Nacho Vigalondo. A perfect monster movie for Halloween. Join us for episode 169 of A Good Story is Hard to Find podcast.